John Norwood is the proud owner of Carolina Solar Security – a local business operated in Wilmington, North Carolina, and an authorized 3M Prestige Dealer. 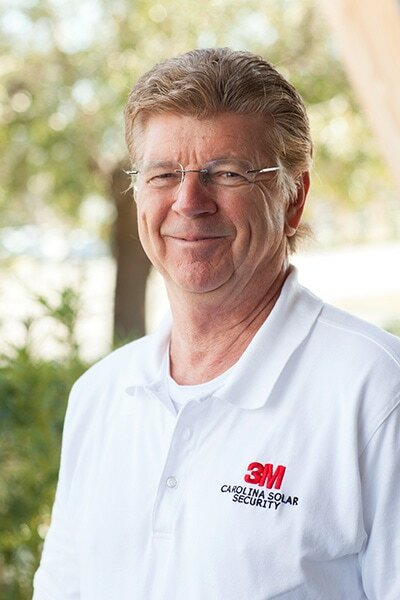 Carolina Solar Security has served the Carolinas since 1985, and John has been working in sales for over 30 years. Before starting his own business, John graduated from John T. Hoggard High School and served in the United States Navy from 1971 to 1975. He also attended the University of North Carolina at Wilmington. John is married and has a son. He and his family enjoy golfing, reading, and hiking. He’s also a member of the American Legion Post 10. Growing up in Carolina Beach, John has lived in the area most of his life. He uses his experience with the coastal weather – both sunshine and storms – to help Carolina Solar Security customers understand the effects it can have on their homes and discover the benefits of window film. John is happy to meet with customers at their convenience or by appointment to discuss solutions for their home, office, or other building. 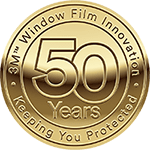 At consultations, John makes professional recommendations based on the customer’s issues or needs and measures the windows in preparation for film application. Within 1 to 2 days, the customer receives a detailed proposal from John that includes the cost of the installation fees. Whether you’re needing safety and security from inclement weather or smash and grab crimes, solar control to protect furniture and floors from fading, or a decorative film for increased privacy, call John Norwood at Carolina Solar Security. Darrin Presley is proud to serve customers at Carolina Solar Security, a local business operated in Wilmington, North Carolina – an authorized 3M Prestige Dealer. Carolina Solar Security has been in business since 1985, and Darrin has 22 years of experience in the industry. Before selling and installing residential and commercial window film, Darrin received a degree in psychology from the University of North Carolina Wilmington. Darrin is married with two children – a son, and a daughter. His family is actively involved with Reach Community Church. Darrin is a dog lover, an avid disc golfer, and throws and collects Frisbees. A long time resident of the area, Darrin’s knowledge of the coastal weather is a key attribute in helping customers find window films that serve their needs. 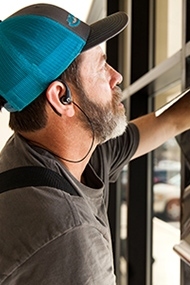 When you’re ready to consider window film as a way to protect your home, business, business, and belongings from the damaging effects of the sun, call Darrin Presley at Carolina Solar Security.